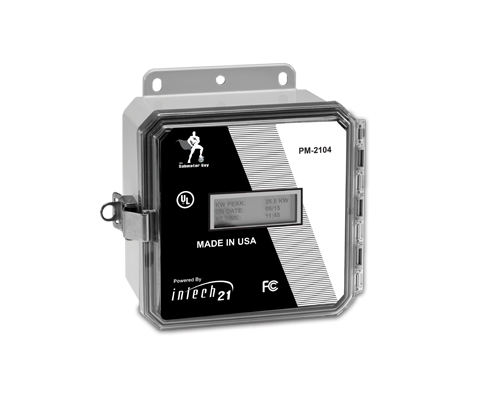 The Intech 21 KWH Series Power Meter provides a low-cost, easily installed meter for kWh monitoring applications. The KWH Series meter installs easily in new or retroﬁ t applications for tenant billing, cost allocation and energy management. The meter includes the appropriate number of CTs for your single-and three-phase applications and are available with either solid-core CTs for new installations or split-core CTs for retroﬁ t projects.